…..and all those mega-conferences don’t know how to act. There’s a movement afoot in the Ed Tech world. It started with Ed Camps and has evolved into something even bigger. A couple of years ago I was chatting with good friend and fellow “boutiquer” Felix Jacomino (head cheese of Miami Device). We were chatting about iPadpalooza and his (then) upcoming first event. We were talking about ISTE, the preeminent Ed Tech conference in the United States when he said something both profound and prophetic. That phrase resonated in my brain like a Taylor Swift ear worm. I couldn’t escape it or put my finger on it but Felix was dead on. At ISTE you have thousands upon thousands of people attending for any variety of reasons and from any variety of places. Some come to learn about interactive white boards (still). Others come to learn about Microsoft Office. Others iPads. Others Chromebooks. Windows. Mac. Apps. GAFE. CCSS. PDFs. Gifs. Etc. If you are an event like ISTE you have no choice but to go the “Walmart route” when it comes to sessions to ensure your customers have access to everything even if it might taste a little bland. While I think there will always be a time and a place for that, districts are also looking for something more meaningful. They are looking for something more tailored for their staff and their Ed tech goals. In the past, like Walmart, the attendee was forced to sort through the hundreds of isles of products (sessions) looking for that one specific item (learning) and try not to get lost or end up on stage at EdTech Karaoke (guilty as charged). As we formerly launch the registration for our 5th annual iPadpalooza, there is a growing abundance of options available to educators and leaders. iPadpalooza started as a learning festival to share and grow in the realm of iPads but it’s now grown into something more than that (we welcome all devices!). While at its heart it’s meant to inspire and make learning fun, it’s also meant to be an experience. No not some sort of Burning Man in the desert experience (do they have wifi out there? ), but more like you are a part of the learning experience and not just an attendee. This year’s theme is “Summer Blockbuster” and is centered around the explosive potential of mobile learning but also the movie stars we have in and around education. Because this is a “boutique” event, we can offer flexibility in terms of when you can come (we have single-day passes this year) and a little extra for those wanting to dive even deeper (this year we have added some “Pre-Palooza” workshops in addition to our iLead Academy). While my heart belongs to the mothership event here in Austin, I love the fact that these are now starting to spread into other states (not unlike TEDx events) including Indiana, Minnesota and now Louisiana. Each one is unique in that it brings in local talent and flavor into the festival-like atmosphere. 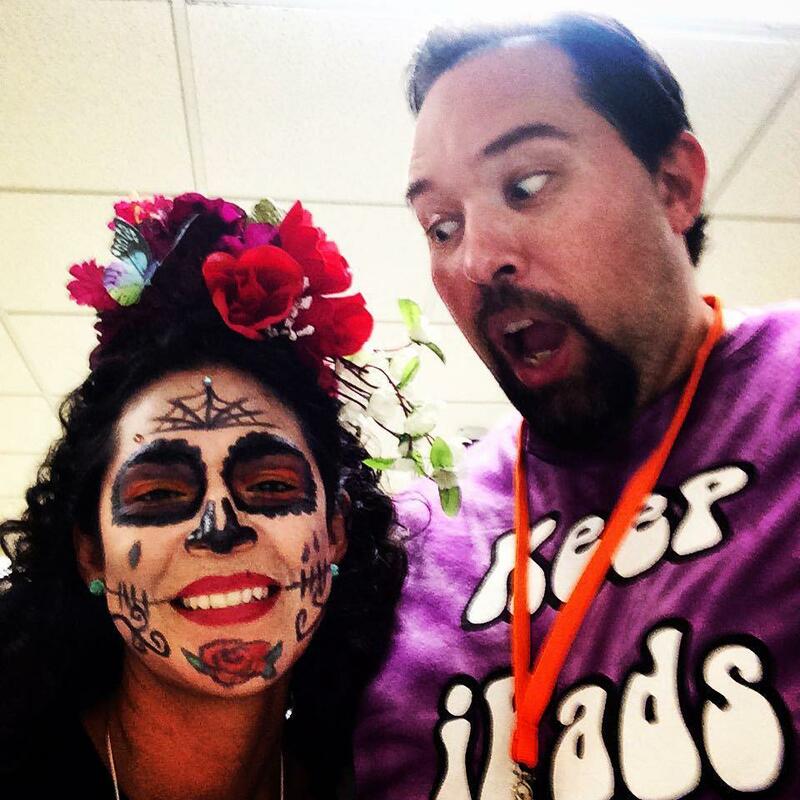 At iPadpaloozaSouthTX they even created their own theme of “Day of the Tech” based on the “Dia de los muertos” holiday. What I love most about these spin-off events is the ownership taken by districts and educators as part of the mobile learning movement. It’s not just seeing someone experience the stress and joy of hosting an event that MUST have a level of fun and local spirit, but also seeing them experience the smiles on the faces of attendees. It’s about the tweets of minds being blown and passion being ignited. It’s about discovering something they haven’t seen or thought of before and rethinking how learning can change in their classroom. Ultimately, that is why you go to a boutique conference. Not necessarily to look for a specific thing, but to have a specific thing find you. Who’s ready to go shopping?